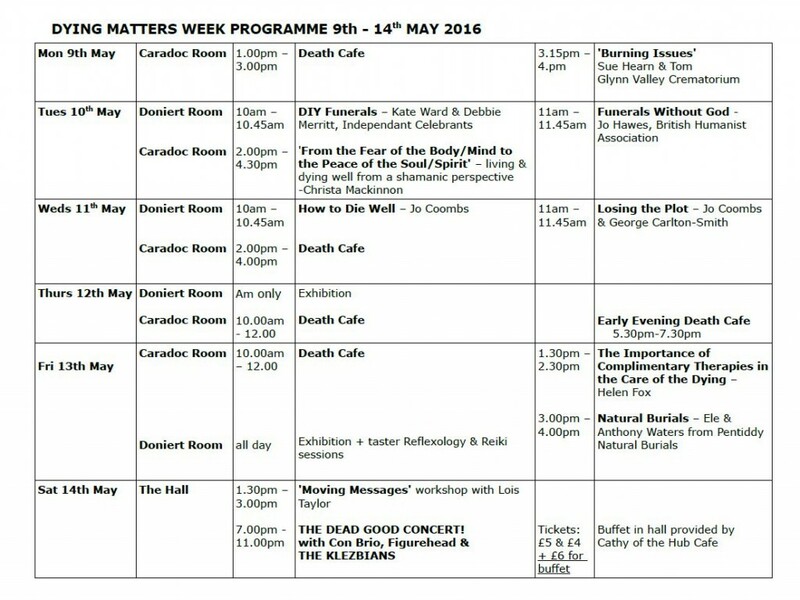 | Free admission to all talks, workshops and the Death Cafes but donations towards the costs very welcome. Tickets for the concert: £5, £4 concessions plus £6 for a delicious vegetarian buffet supper from the Hub Cafe. From Monday 9th May- Saturday May 14th at the Liskerrett Centre, we will be holding workshops, talks and Death Cafes where you can talk about anything to do with death and dying in a relaxed and informal setting over tea and cake. On Saturday evening there will again be a DEAD GOOD CONCERT with Con Brio, Figurehead and the Klezbians. 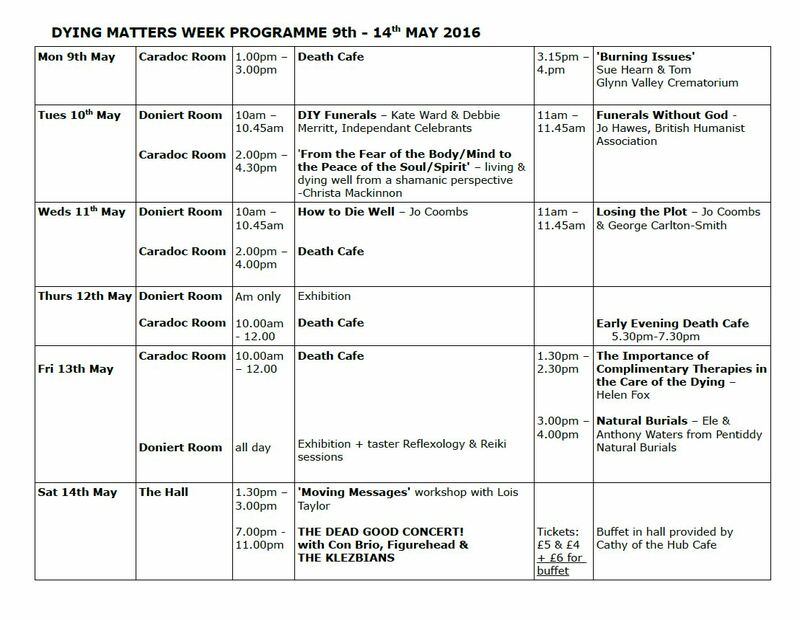 Free admission to all talks, workshops and the Death Cafes but donations towards the costs very welcome. Tickets for the concert: £5, £4 concessions plus £6 for a delicious vegetarian buffet supper from the Hub Cafe. Teas, coffees, squash provided, bring your own alcohol. Free admission to all talks, workshops and the Death Cafes but donations towards the costs very welcome. Tickets for the concert: £5, £4 concessions plus £6 for a delicious vegetarian buffet supper from the Hub Cafe.